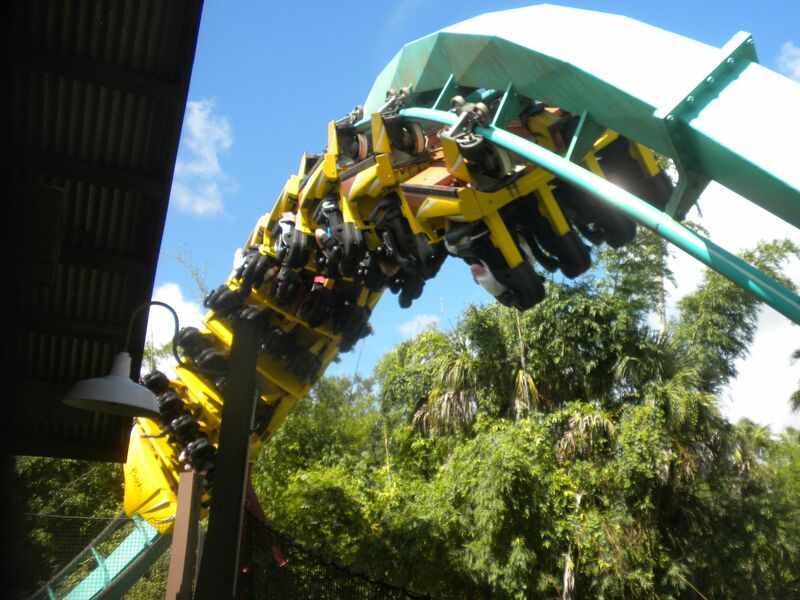 On Friday, September 26 ACE Fall Conference 2014 began at Busch Gardens Tampa. I have had several opportunities to visit this beautiful park and I gladly welcomed a return visit. 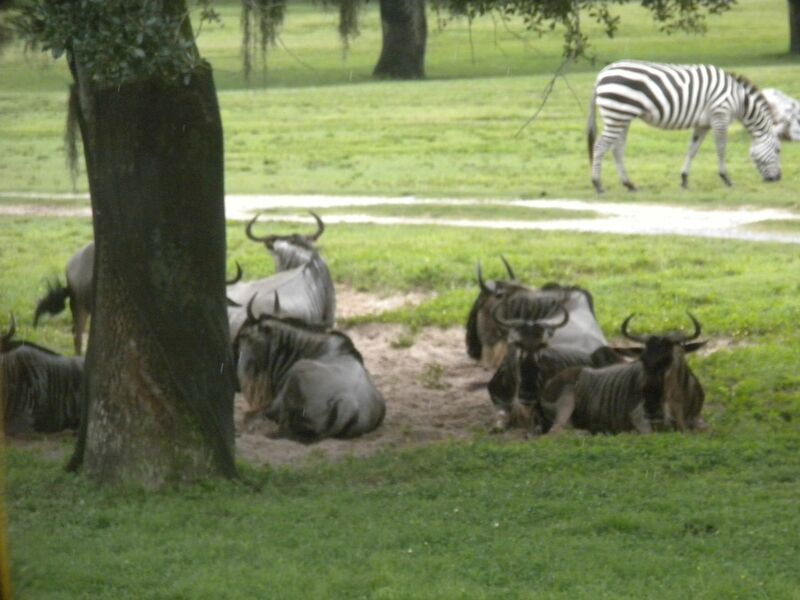 The large number of animal exhibits works nicely with its theme to countries and cities in Africa. We did not have ERT but were given Quick Queue passes for Saturday. As it turned out, on Friday the park was fairly empty so it was almost like an all-day ERT session. 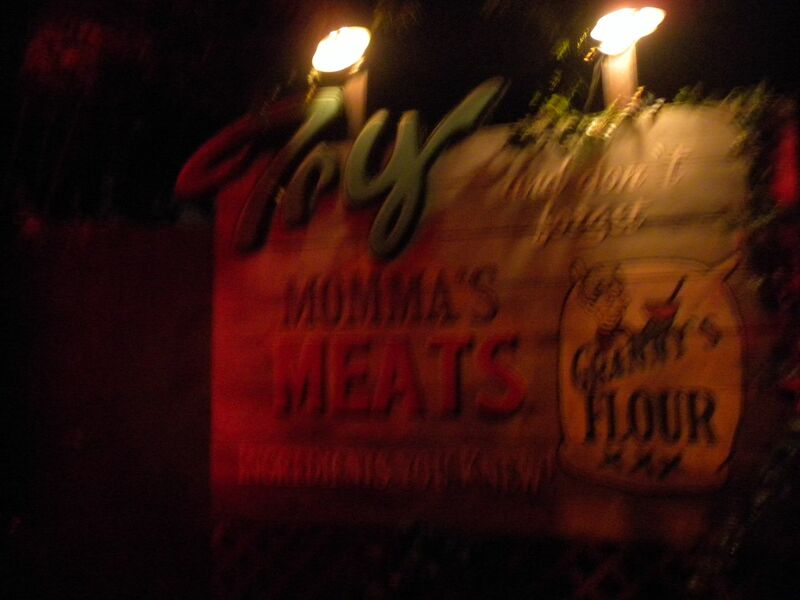 We had the opportunity to stay for the Howl-O-Scream event that evening, which we also did. 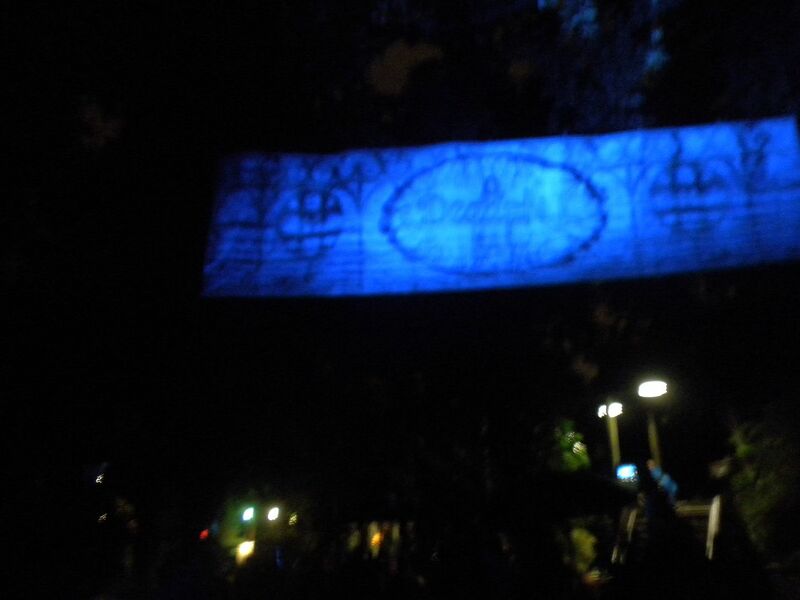 While some rides were at night, I will report on each section of the park and then the Howl-O-Scream event separately. The theming here is nicely done. 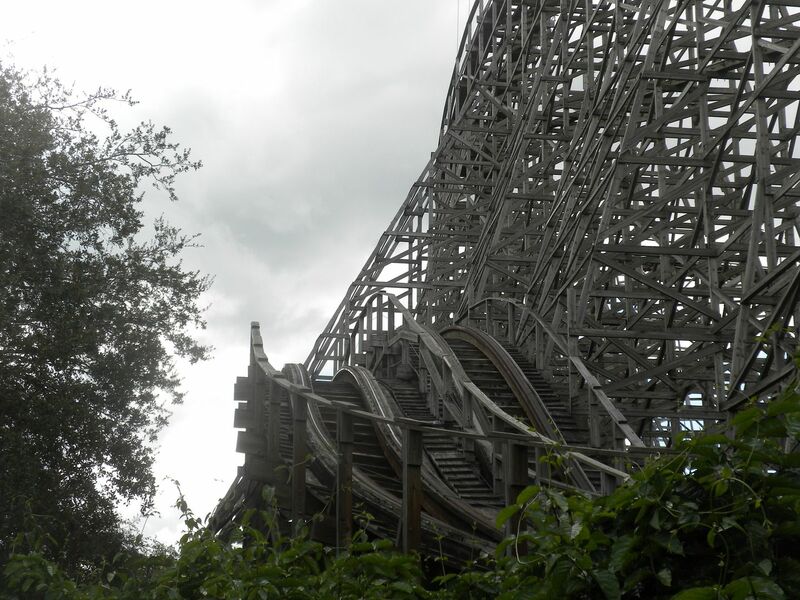 Gwazi: (GCI, Dueling Wood Coaster, 1999) Although it has not been that long since it was retracked and Millennium Flyers were added, it is running very rough. as the Quick Queue line crosses the SBNO Tiger side on a bridge. 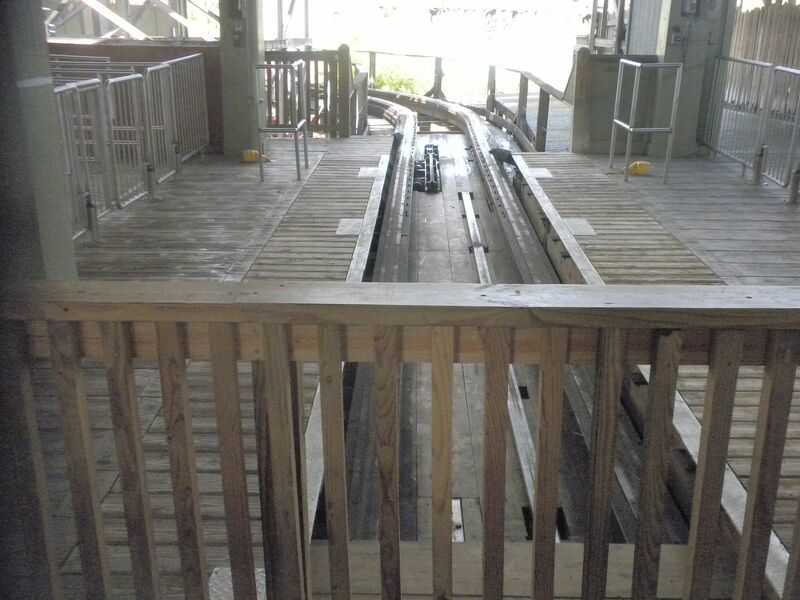 It is clear the park has given up on this coaster and I believe it is only a matter of time before it is removed – 2 rides on Lion. 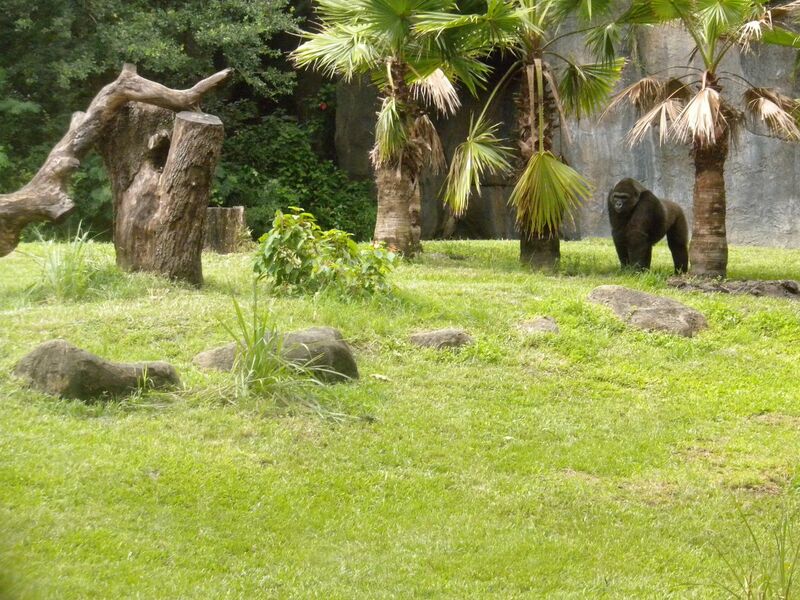 This gorilla and chimpanzee habitat is very well done, transporting guests to the forest – 1 walkthrough. I did not have time to see the shows in this section. The Moroccan Palace Theater features Iceploration, which I saw on my last visit in 2012 and it very nicely done. The Marrakesh Theater features Soundsational. The theming of this section is very well done. 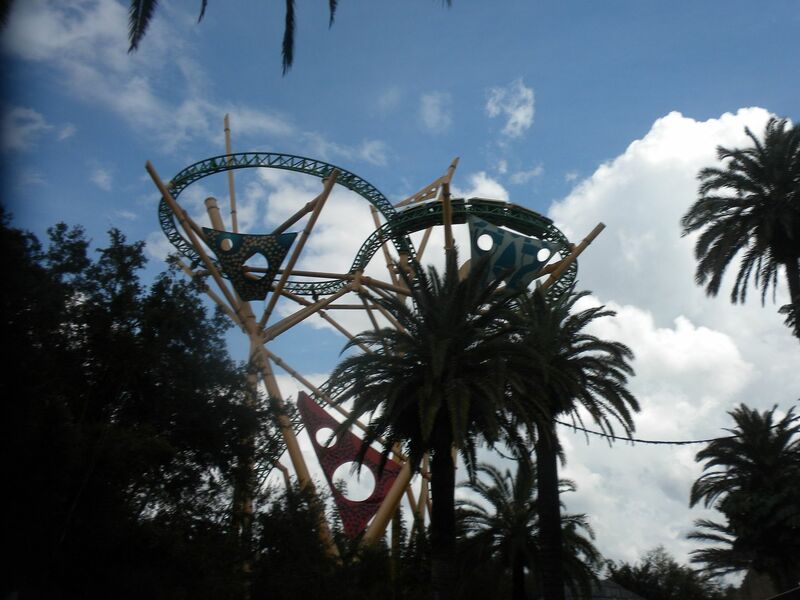 and how it interacts with the Skyride. 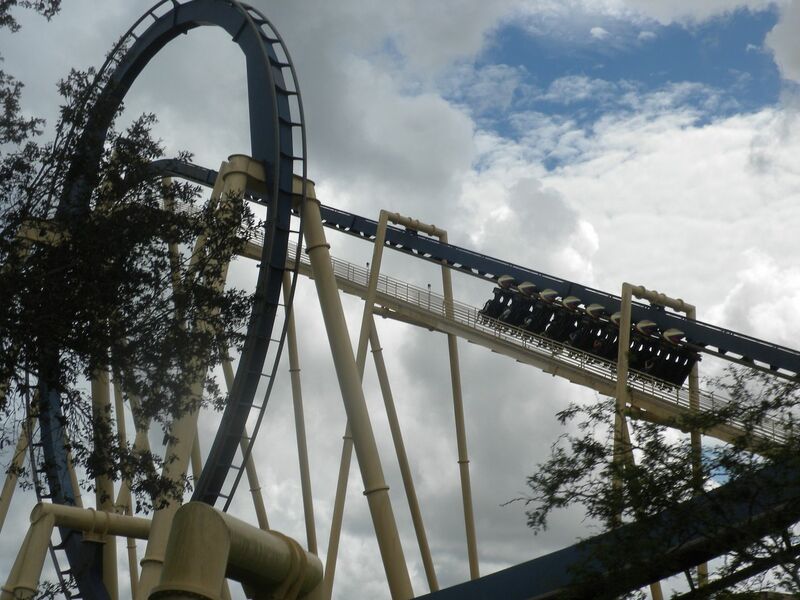 It is a lot of fun – 3 rides. 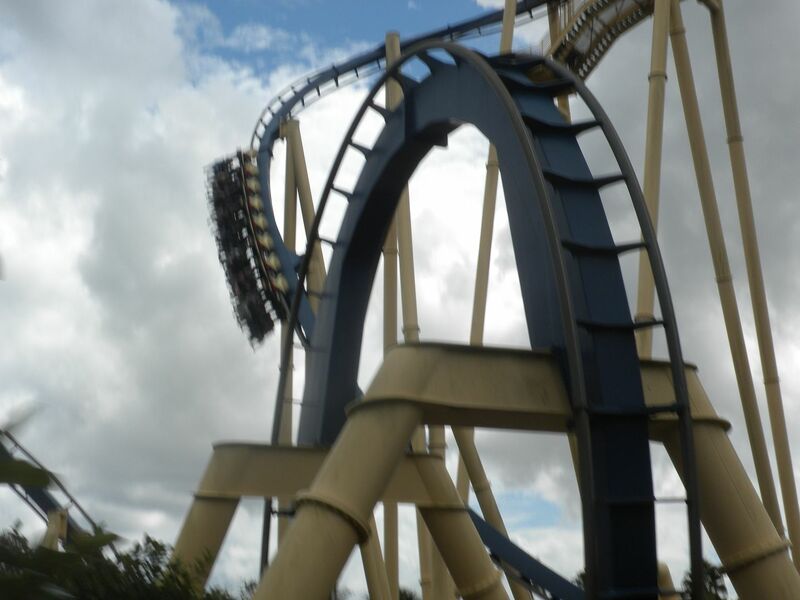 This is a great inverted coaster that is extremely well paced. 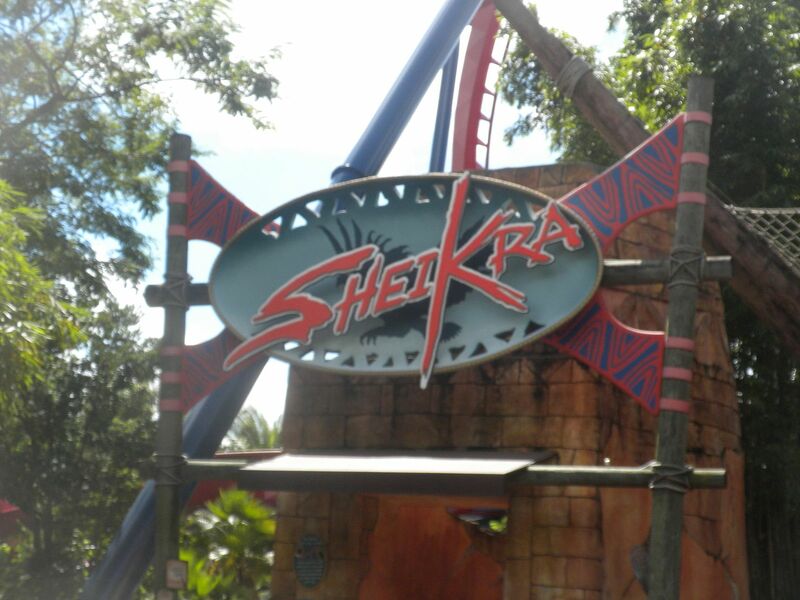 Its Egyptian theming is stark, but fits perfectly – 3 rides. 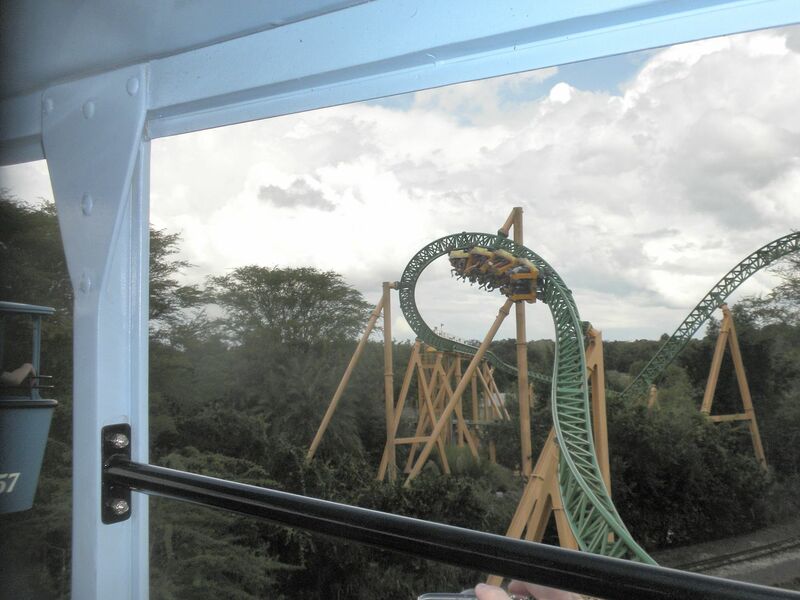 Skyride: Transportation from Egypt to Stanleyville with some good views of animals along the way – 1 ride. 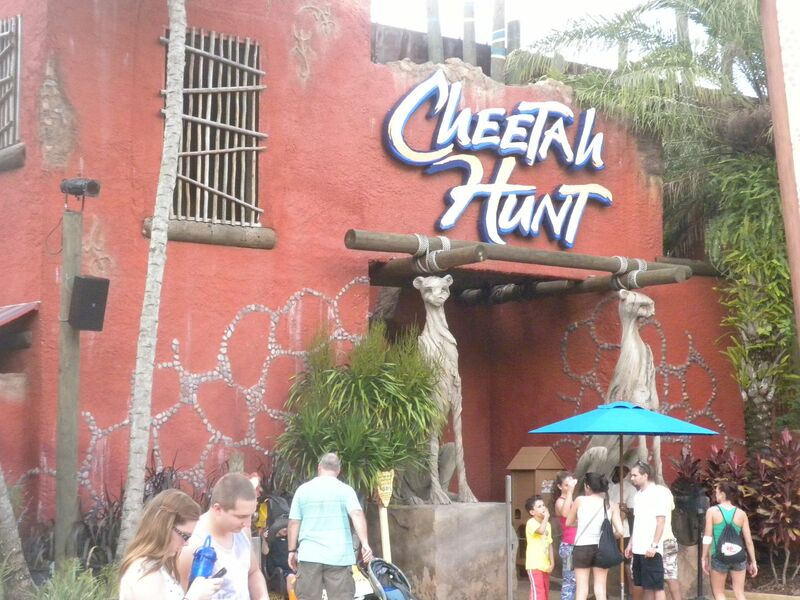 While I did not have much time to see many animals in this section, the main exhibits are Cheetah Run and Edge of Africa. I have always liked walking through Tut’s Tomb, but it was closed, perhaps for Howl-O-Scream, perhaps because it may be incorporated into a future attraction. One disappointment is that the Crown Colony House Restaurant no longer operates with table service. 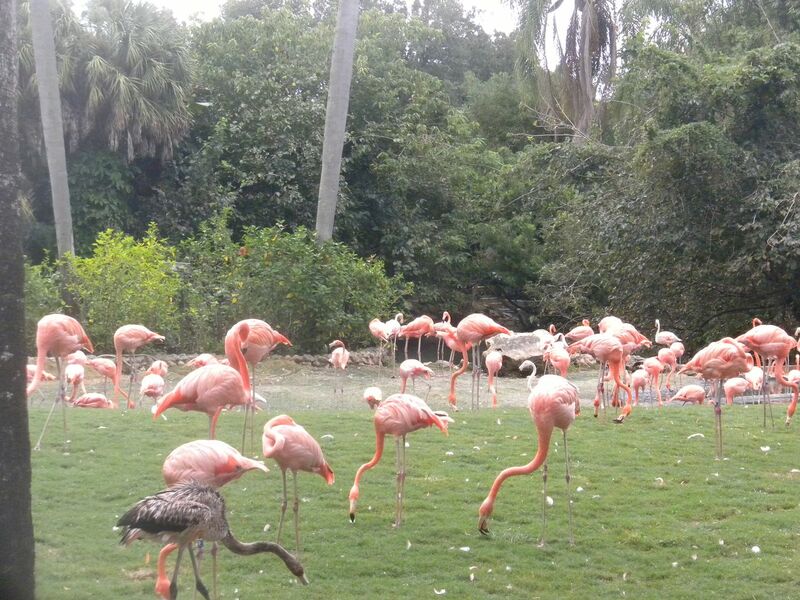 It was previously the best place to eat here and gave great views of the animals. I hope they have plans to reopen it in the future. 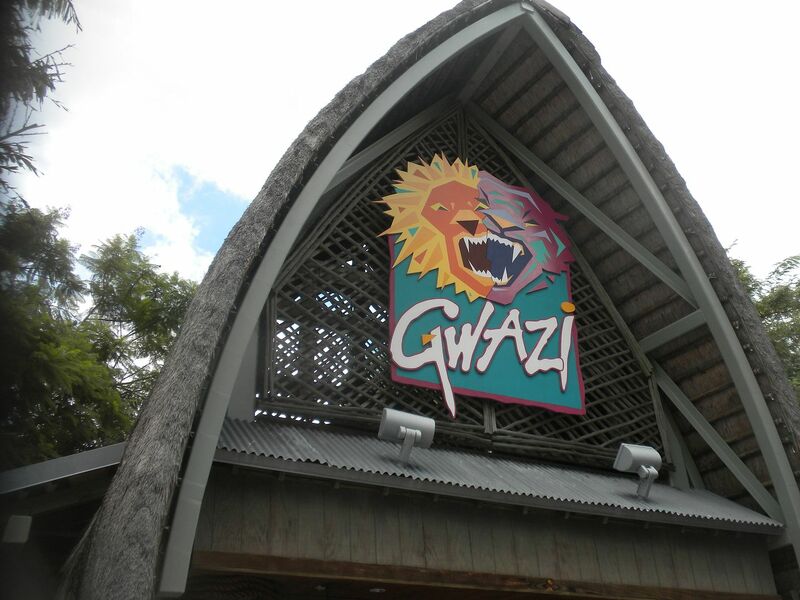 This Kenyan themed section lost one of its attractions as Rhino Rally is no longer operating. 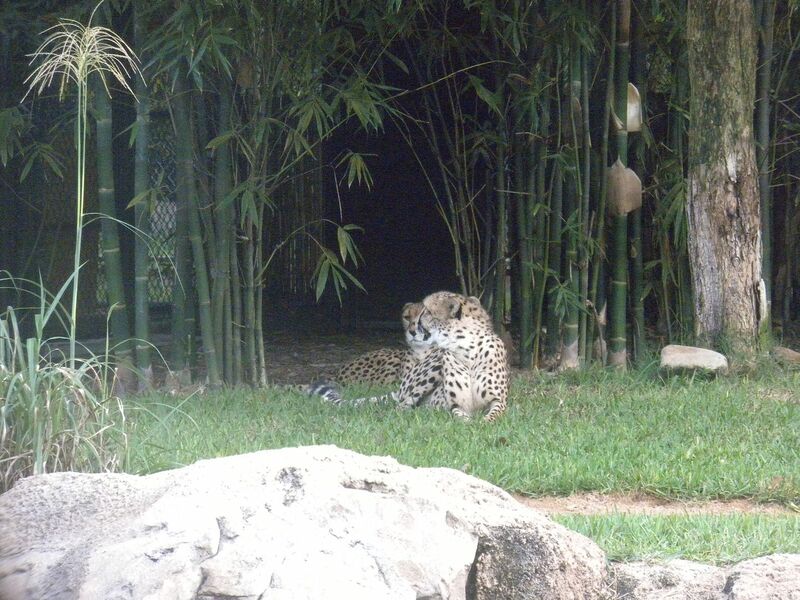 While it had been shortened due to Cheetah Hunt, they have apparently decided to close it altogether. takes you on a tour of the Serengeti to see the animals in their habitat and then has stops in Congo and Stanleyville – 1 ride to Congo. 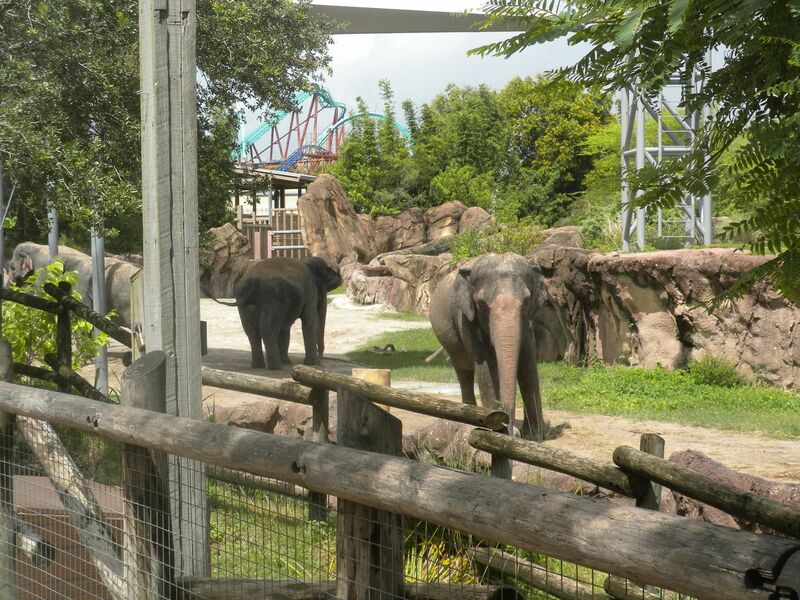 Elephant Interaction Wall; and Animal Care Center. 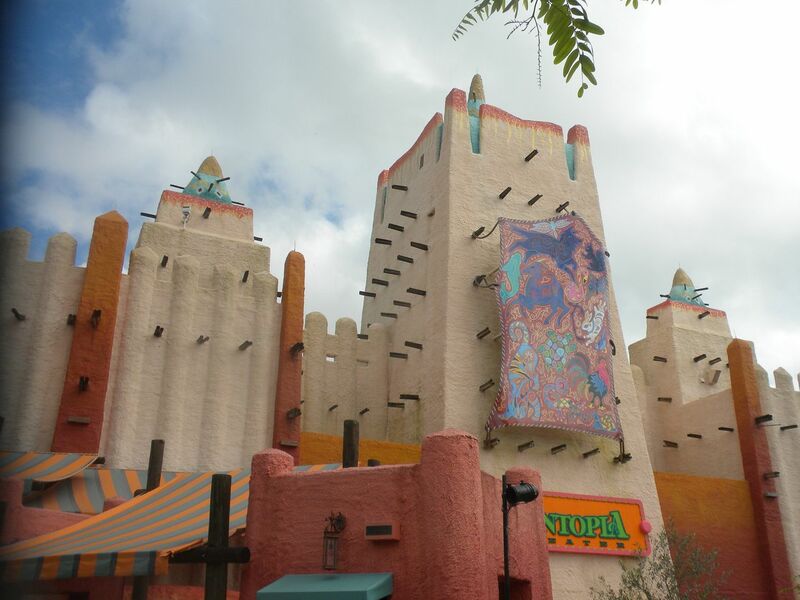 has been rethemed as Pantopia, a colorful tribute to African culture. Most of the rides and shops remained but have been redone to reflect the colorful new theme. This coincided with the addition of a large new ride. 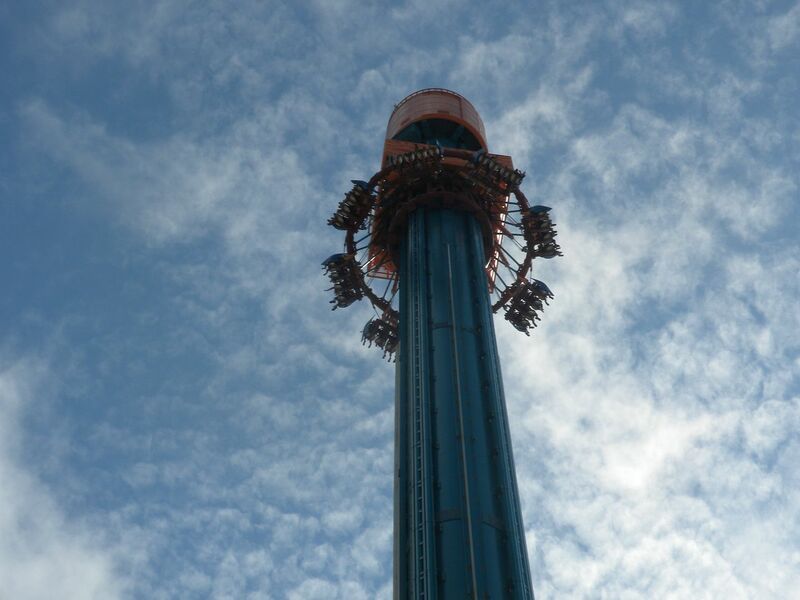 Falcon’s Fury: This Intamin drop tower pulls riders into a face down position for the drop, which is quite scary. It made me wonder why I was doing it, but immediately I wanted to ride it again. 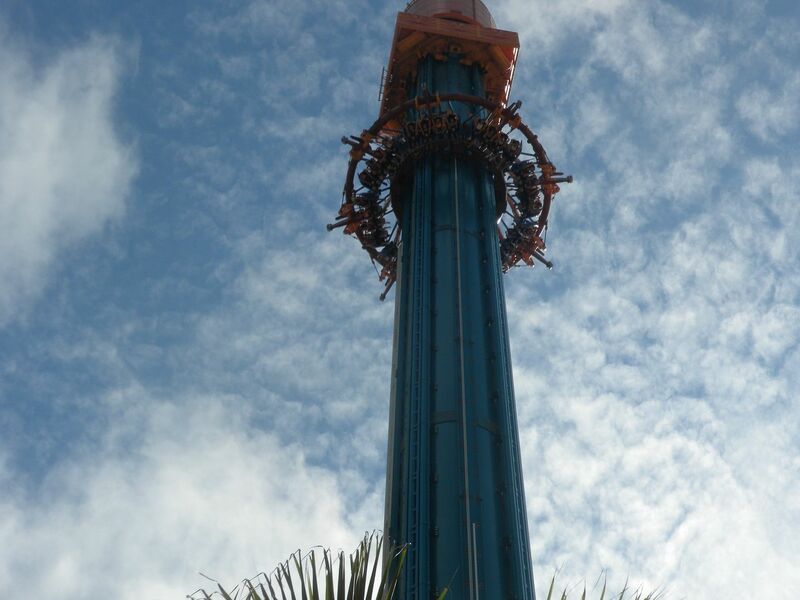 This is one of the best drop towers I have done – 4 rides. 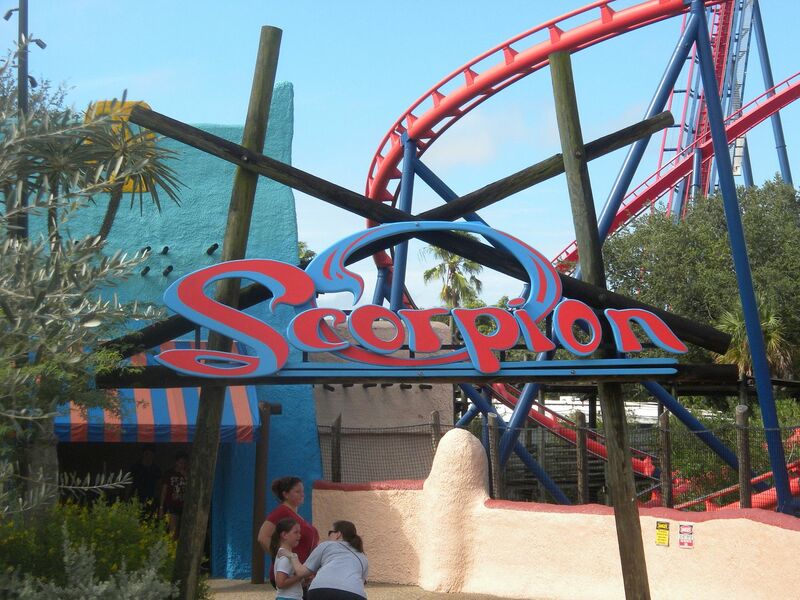 I always enjoy this coaster, and it was running good – 3 rides. SandSerpent: (Mack, Wild Mouse, 1996/ 2004) Relocated from Busch Gardens Williamsburg, where it operated as Wild Maus, this wild mouse is fun – 2 rides. Phoenix: As one of very few flats in this park, this looping ship gave a good ride – 1 ride. I did not ride Grand Caravan Carousel. There are also several kiddie rides here. There are 2 shows in this section. 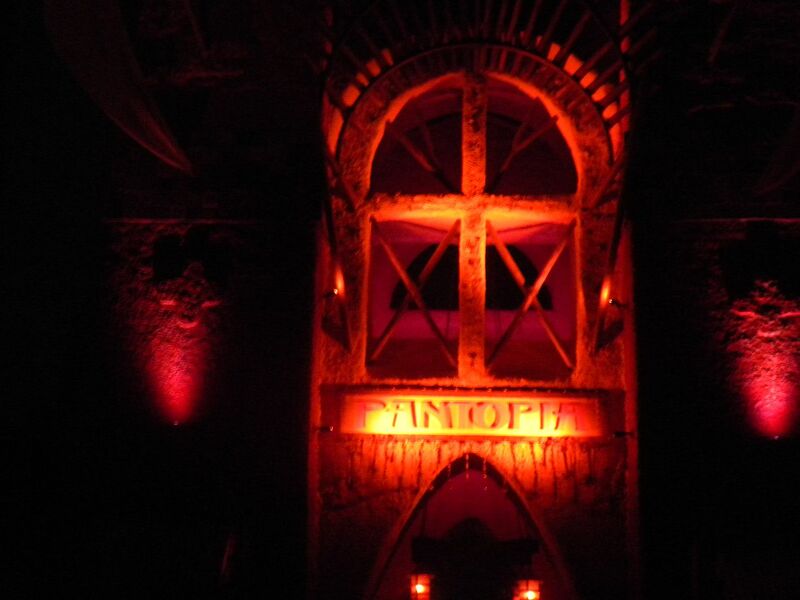 Pantopia Theater features Opening Night Critters and Pantopia Grill features Motor City Groove, as well as a Howl-O-Scream show I will review later. Themed to the nation of the Congo, this section is nicely themed. 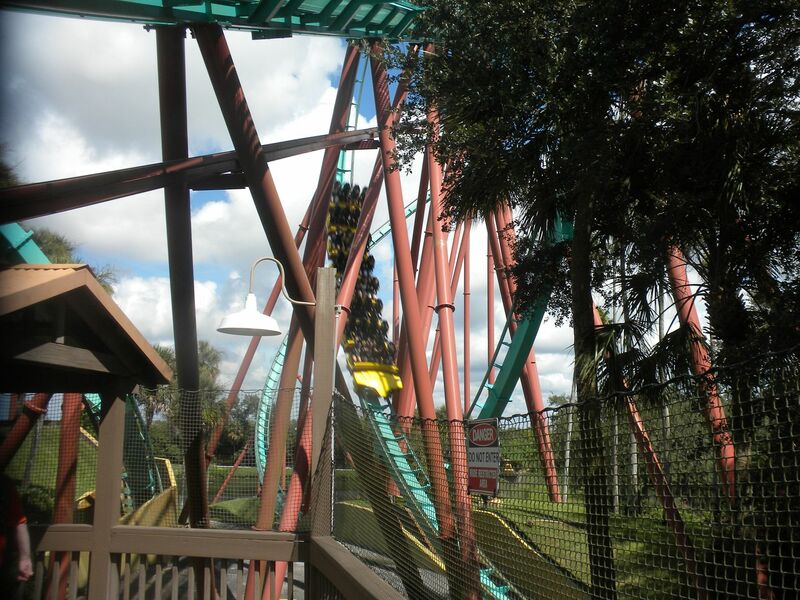 Kumba: (Bollinger & Mabillard, Looper, 1993) This remains my favorite ride in the park. 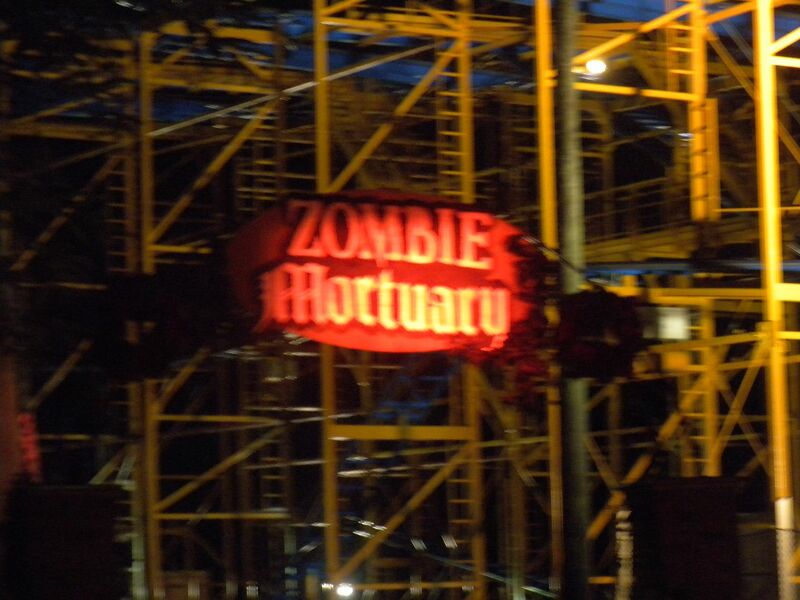 It has a lot of action that is nicely paced, and it fits in well with the landscape – 4 rides including one at night. Congo Train Station: Trains arrive from Nairobi and depart for Stanleyville. We arrived from Nairobi. Ubanga Banga Bumper Cars: I rode this during Howl-O-Scream when they had zombies in some of the cars, which was fun – 1 ride. I did not ride Congo River Rapids, although it was plenty hot enough. Several years ago they rethemed part of Congo to Jungala, which has a festive theme. Kiddie rides here include Wild Surge and Treetops Trails. 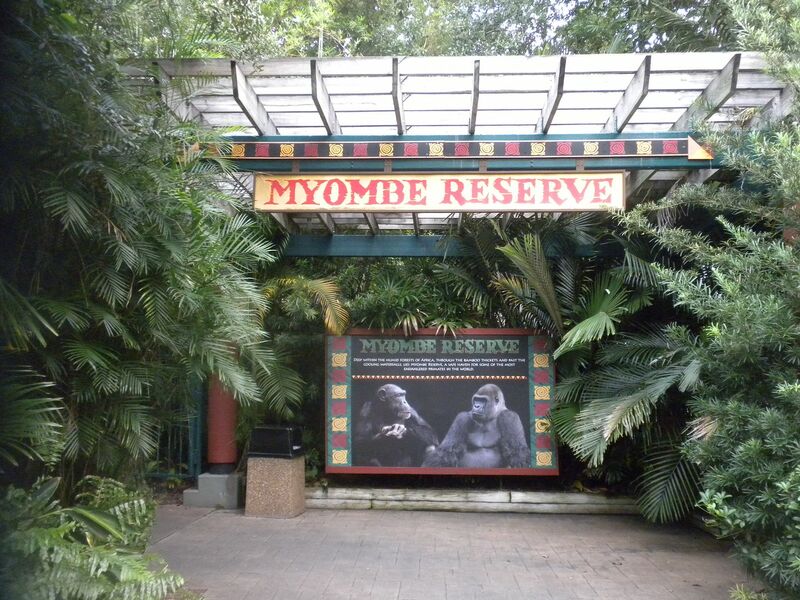 Animal exhibits include Orangutans and Tigers. There is a show in Jungala Plaza, Kareebu Jungala, which I saw last time. Named for the city in Congo now known as Kisangani, this is a nice section of the park. 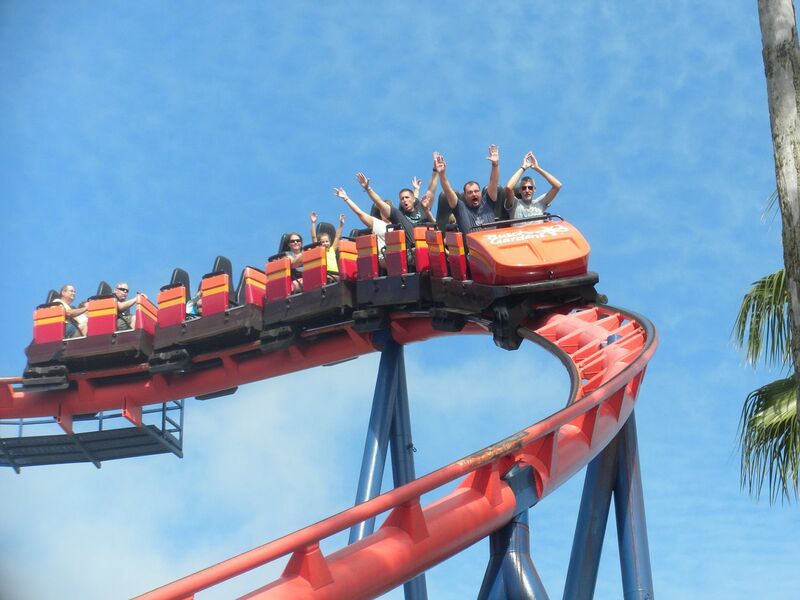 This is a fun coaster and I was surprised how much the first drop in the front row is like the drop on Falcon’s Fury – 3 rides. 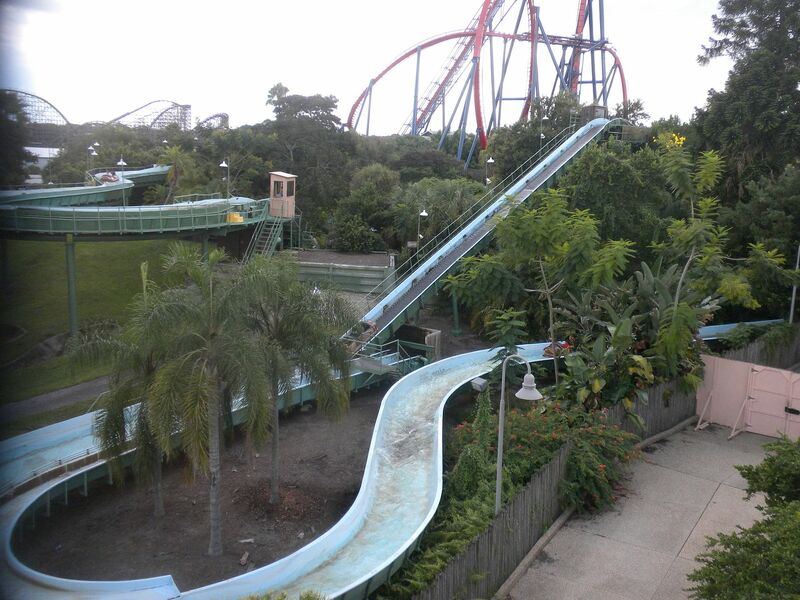 Stanley Falls Flume: I always enjoy a flume ride – 2 rides. 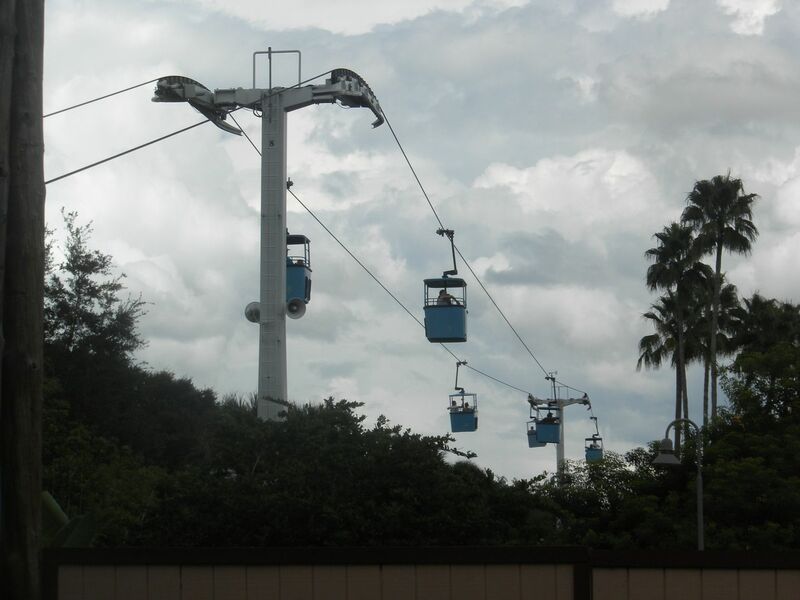 Skyride: This is a great way to get to Egypt and see animals along the way. We arrived from Egypt. Stanleyville Train Station: Trains arrive from Congo and depart for Nairobi – 1 ride to Nairobi. 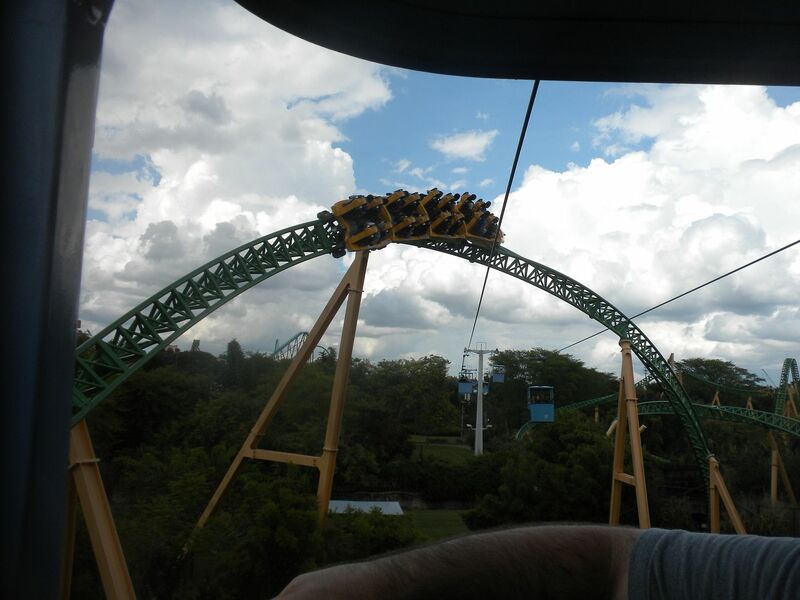 I did not ride Tanganyika Tidal Wave. The Stanleyville Theater featured Madagascar Live! Operation: Vacation. 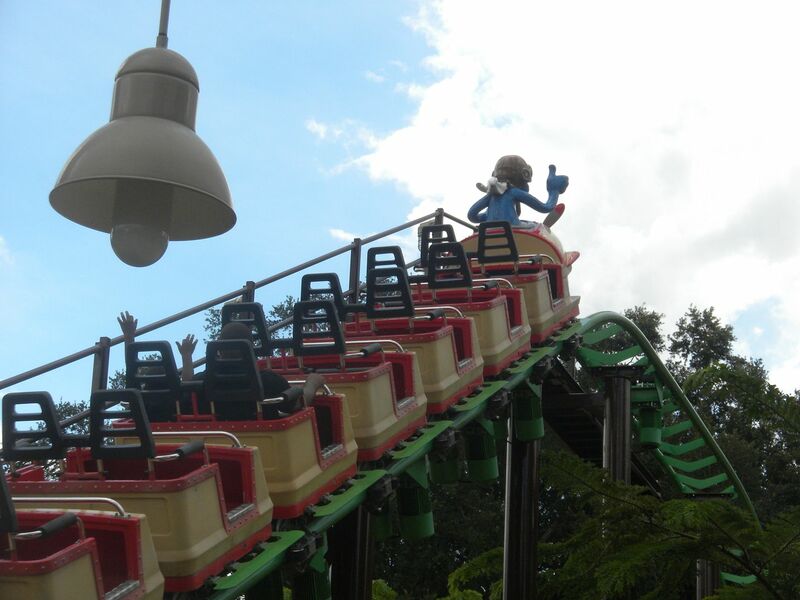 Air Grover: (Zierer, Family Coaster, 2010) This is a nice starter coaster for kids – 2 rides. 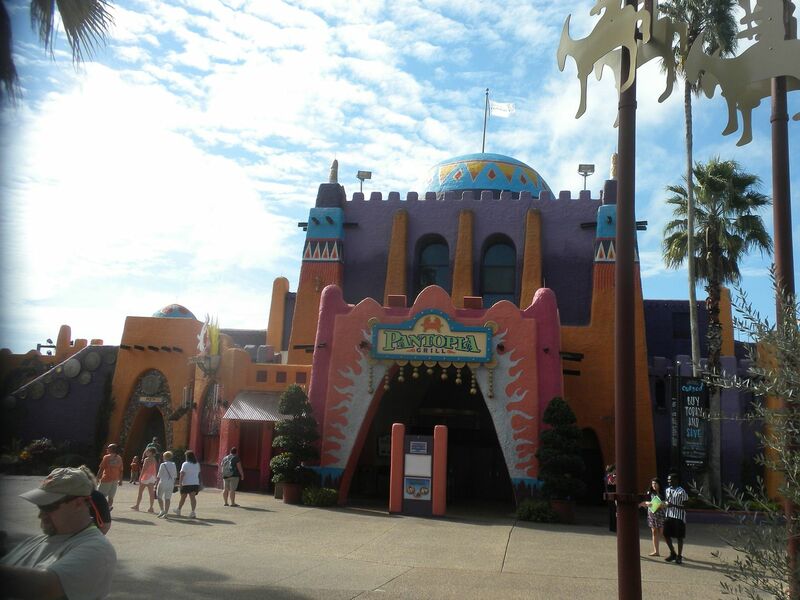 They have several kiddie rides, and the Sunny Day Theater features A is for Africa. Animal exhibits include Lorry Landing and Walk-About Way. 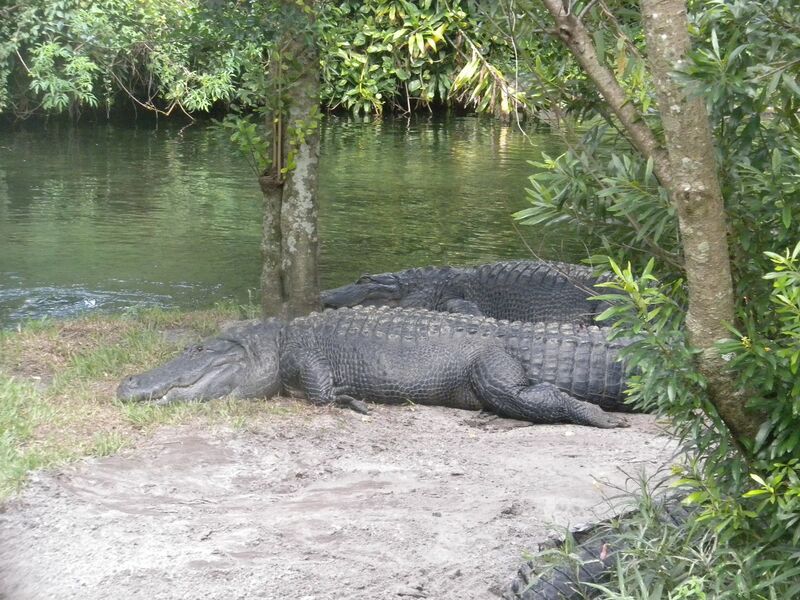 After a meal those staying for Howl-O-Scream got to venture out into the park. 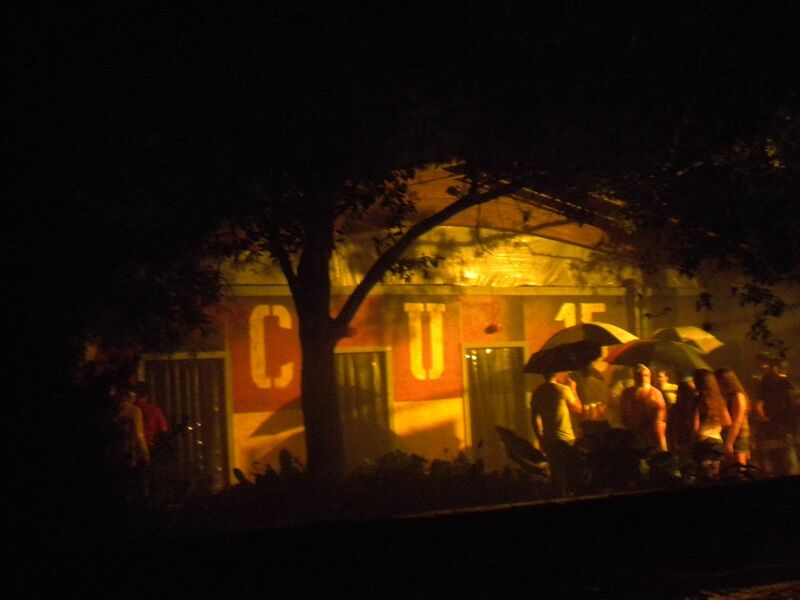 Unfortunately it was rainng pretty heavily, but it got better as the night went on. I will list the Haunted Houses in order of my favorite. 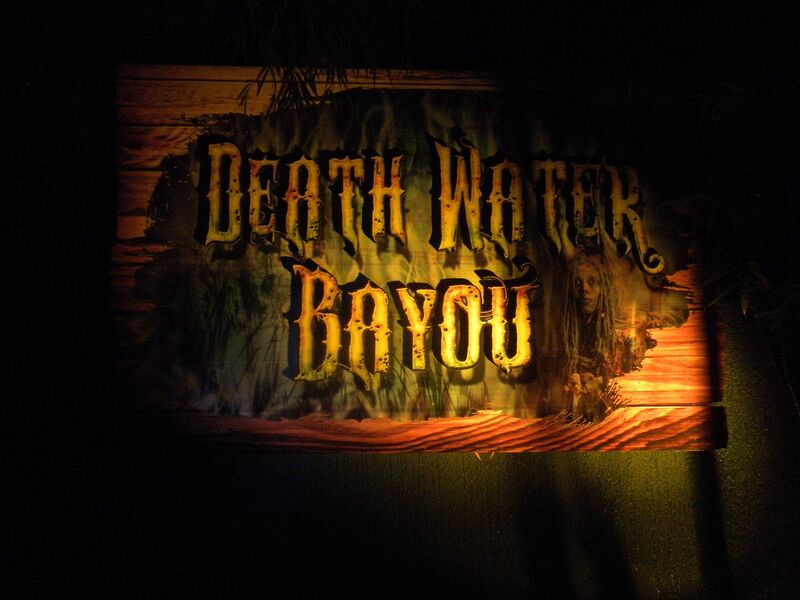 Death Water Bayou: This was the best house they had. The attention to detail was amazing. From the levitating voodoo queen to the spinning barrel to walking through a funeral under a casket to some great surprise actions, this was excellently done. The only negative is that it is a little short. Some of us got to do a behind the scenes tour that afternoon which was very interesting. We went back for a second walkthrough as it was that good – 2 walkthroughs plus behind the scenes tour. 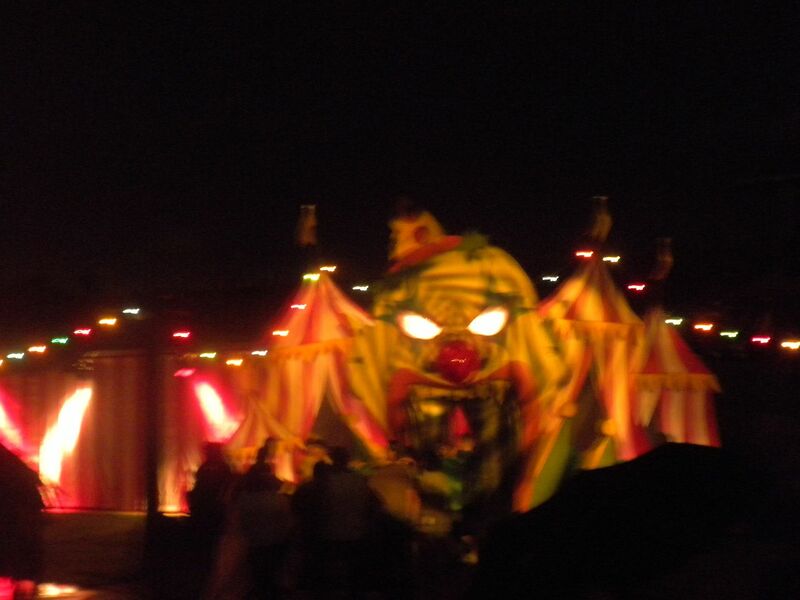 Circus of Superstition: This was very well done with clowns everywhere. 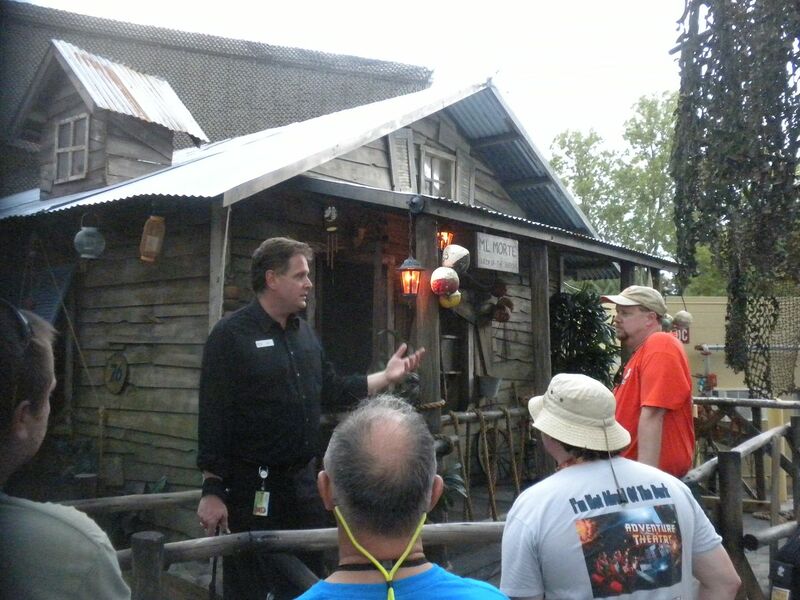 It was much better than the similar house at Universal – 1 walkthrough. Dead Fall: Themed to a greenhouse this was one of the better houses – 1 walkthrough. Zombie Mortuary: This mortuary themed house was good – 1 walkthrough. The BASEMENT: Themed to a basement where meat is cooked, this was well done – 1 walkthrough. 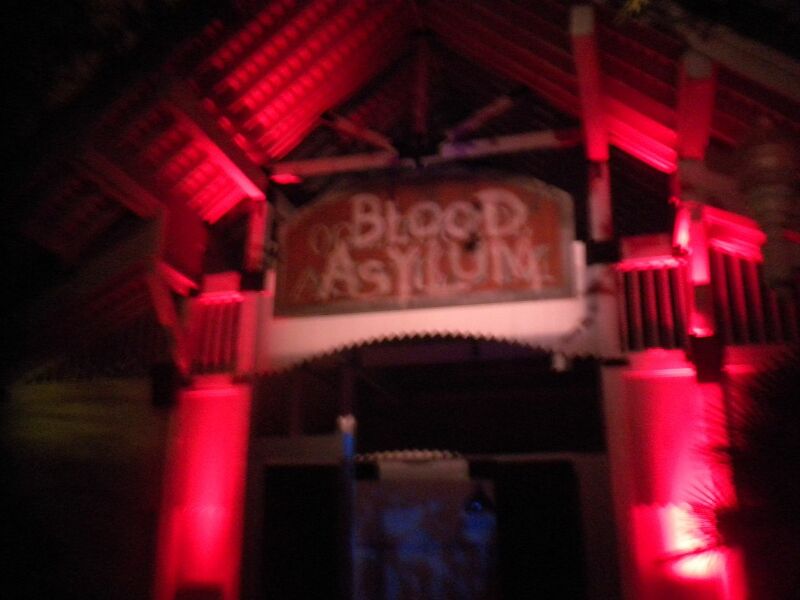 Zombie Containment Unit: This was my first interactive walk through haunted house. We were given guns to shoot the zombies who would have to remain still for a few seconds. The house was very well done although it was hard to see if you hit your target. It is a fun idea that needs a little work. – 1 walkthrough. Blood Asylum: This asylum themed house was alright – 1 walkthrough. We did not do The Experiment, an upcharge that involves some level of interaction. 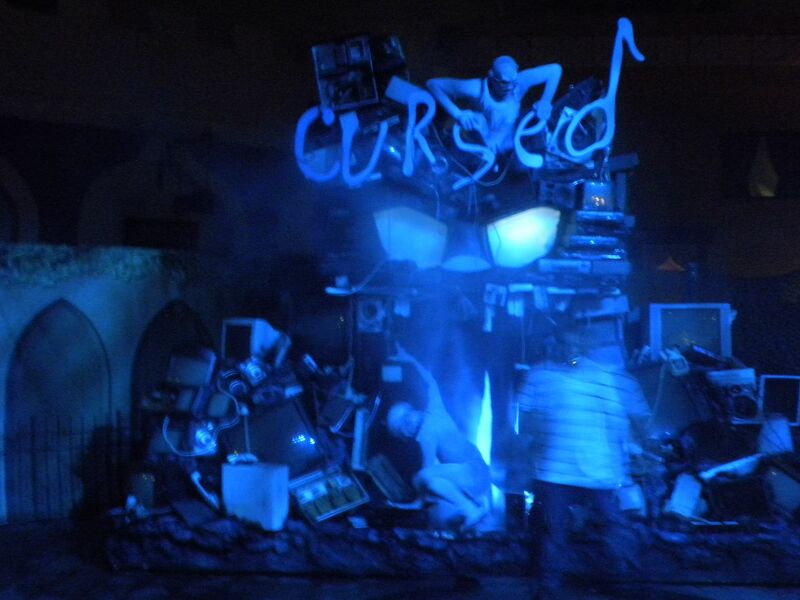 FIENDS: This show in the Pantopia Grill was well done but is very suggestive for a theme park – 1 show. 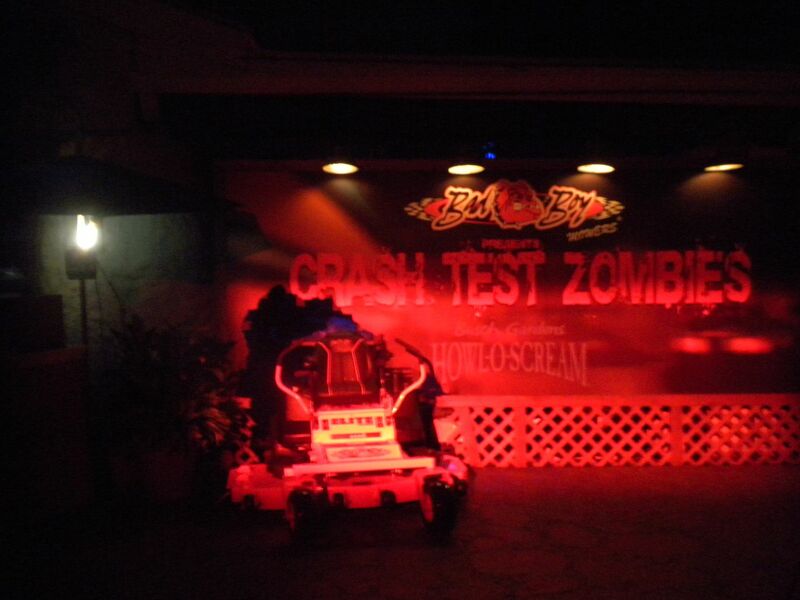 They had a lot of scare zones that were not named per se, but were well themed to the area. Of note the Stanleyville section had a scare zone related to weddings and another with lots of chainsaw zombies. Other areas also featured scare zones. Overall I was very impressed with Howl-O-Scream. The houses were not as big of productions as at Universal, but they were very well done, and I enjoyed it every bit as much as my night at Universal. On Friday we had lunch at Zambia Smokehouse, which was good. 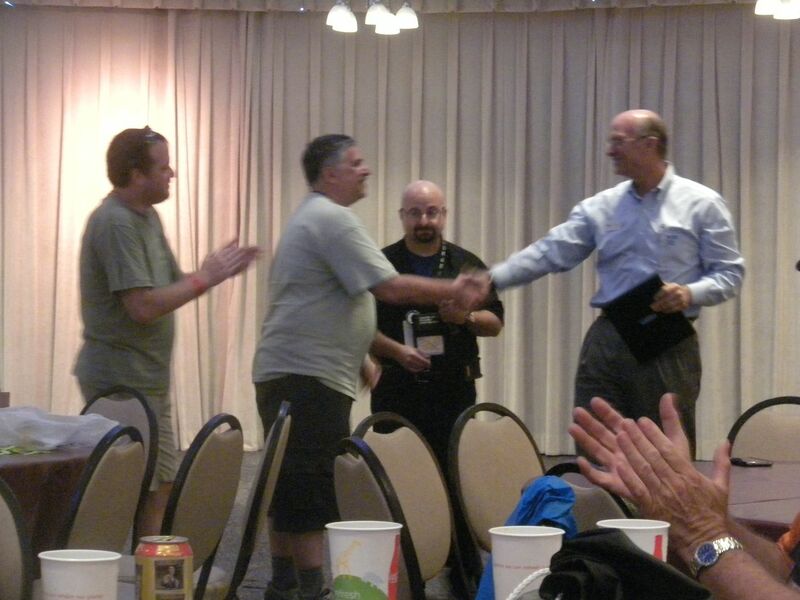 The park provided a good dinner for us that evening as well as a Q&A session with the park president. The park treated us very nicely. On Saturday we got our Quick Queue rides in on all the coasters and had a quick meal at Zagora Café. Then Richard and I left for a quick stop at Legoland Florida before continuing with ACE Summer Con at Fun Spot America in Kissimmee. 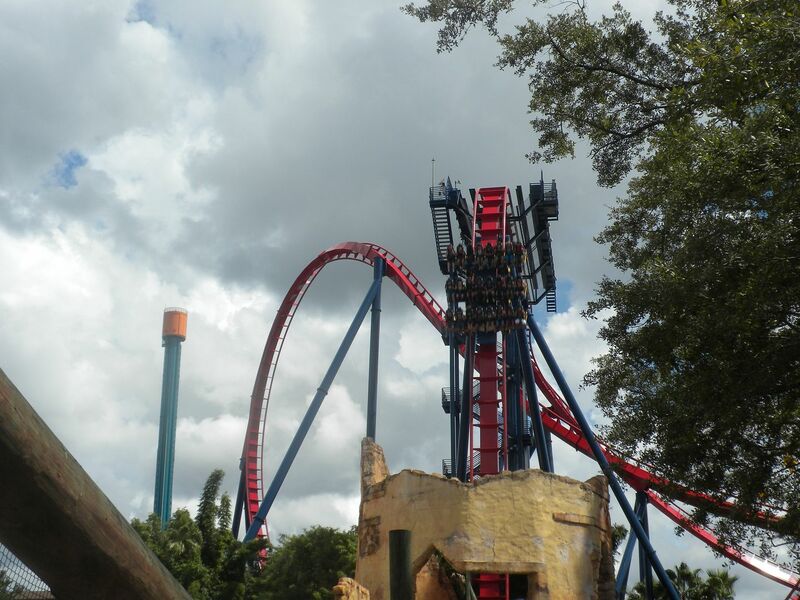 As for my time a Busch Gardens, I thoroughly enjoyed this beautiful park. 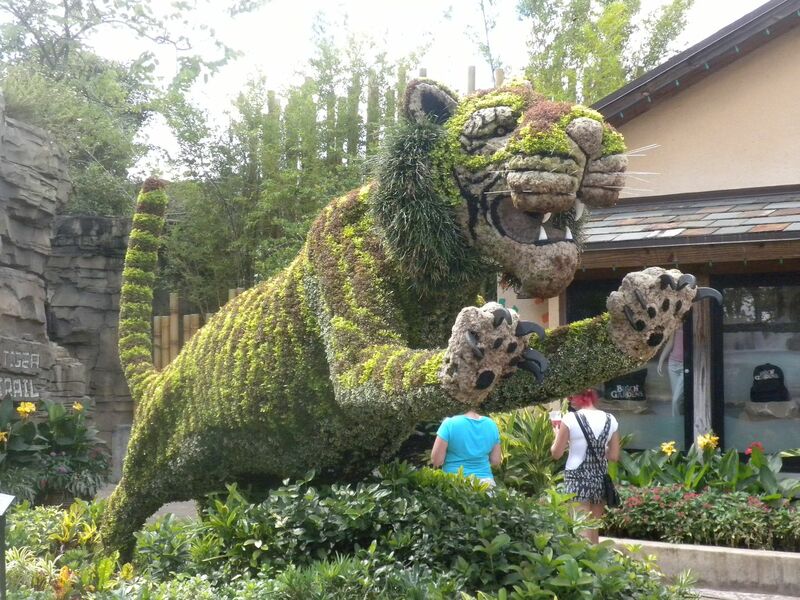 I like how the animal habitats are interspersed throughout the park, and the flowers and landscaping are beautiful. 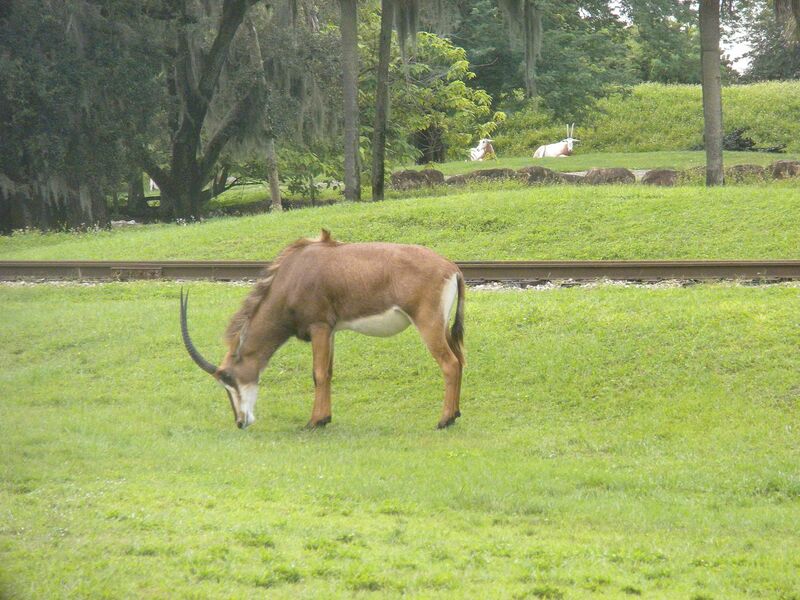 The theming transports you to Africa. I look forward to many return visits.